Welcome to Day #6 of Chocolate and Starches Theme Week. Today's "I Am Grounded - Candied Quinoa Dark Chocolate" bar was the creation of the women at W3 Chocolate (Pittsburgh, PA), and is part of a line of bars from the company. 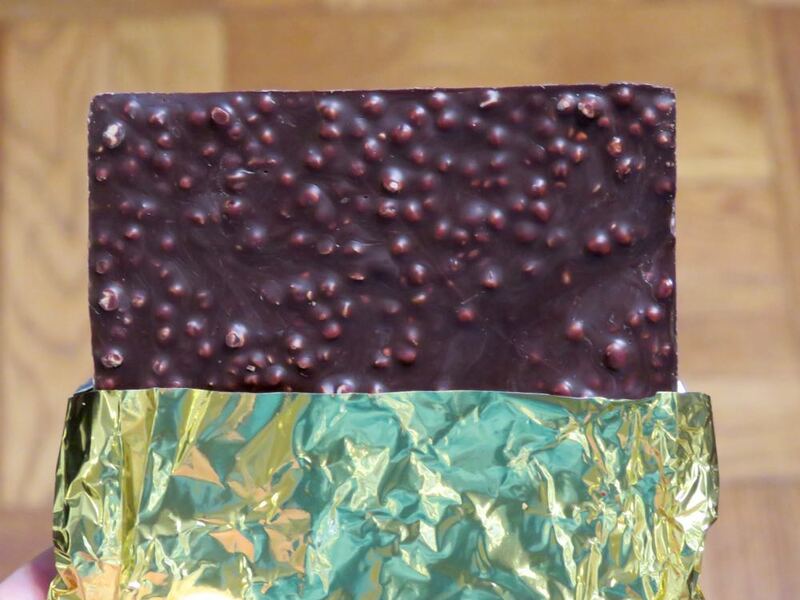 W3 Chocolatier Amanda Wright hails from California. And, rounding out the team's trio of women, are Naomi Davila (from Switzerland) and Sritha Thayi (from India). This bar had a dark chocolate aroma with a faint roasted malt/seeds note. 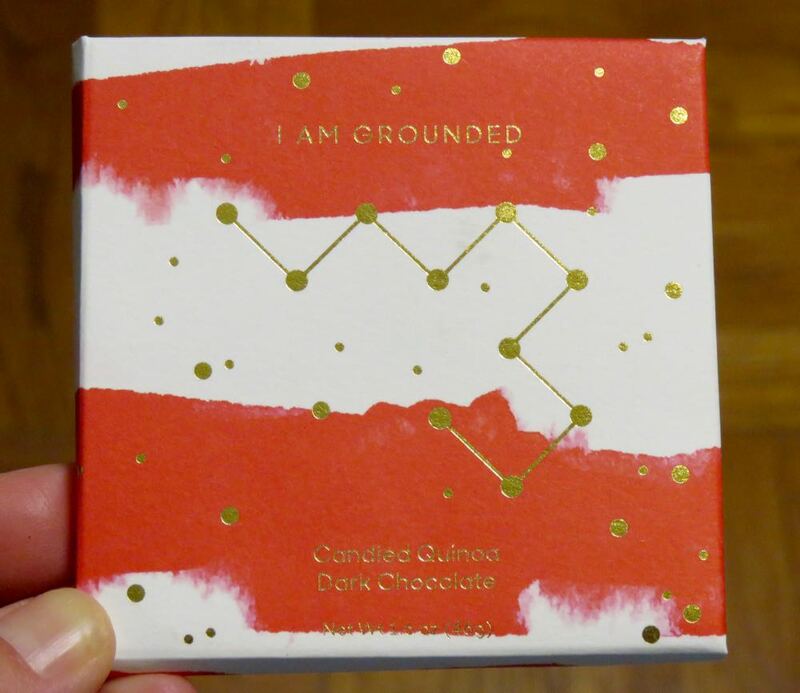 The melt was smooth, and a constellation of candied quinoa, a touch of sesame and salt and vanilla, in dark chocolate created a rich blend of flavors made extra accessible via an ultra-thin bar. A slight buttery, roasted flavor (cocoa butter, coconut oil, salt) was satisfying, and a light sesame finish rounded out the tasting curve. The addition of a "starch" (quinoa) combined with the other ingredients mentioned above, gave this bar more of a "meal" feel, while being ultra-light at the same time. This was a nicely balanced dark bar.